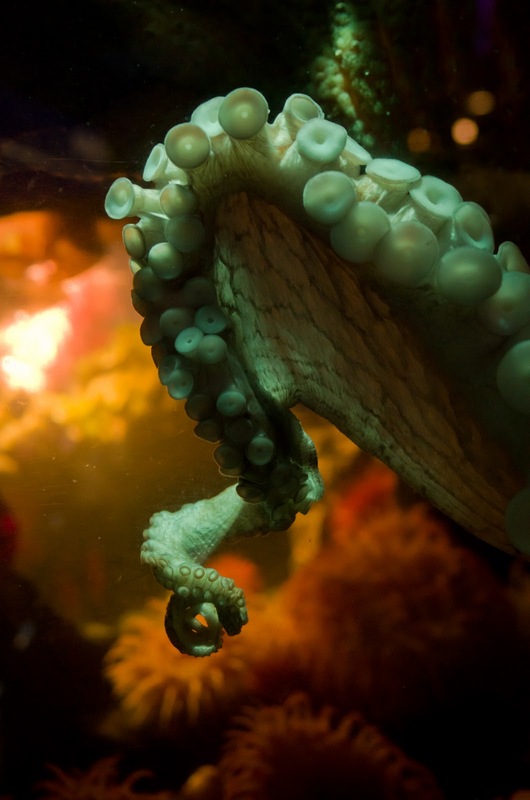 A former Aquarium octopus named Athena is the subject of a new, fascinating and lengthy article in Orion, an international nature magazine. On a cold day last winter, Athena absolutely enthralled Sy Montgomery, a former Boston Globe columnist and prominent nature writer, with a very interactive visit. Aquarist Scott Dowd was filling in for Bill Murphy. The article is a very firsthand look at the remarkable intelligence of these short-lived creatures. But your octopus-apalooza doesn't have to end there! On November 15 at 7 p.m., Scott will participate in an Orion-sponsored online discussion about the article and octopus intelligence. 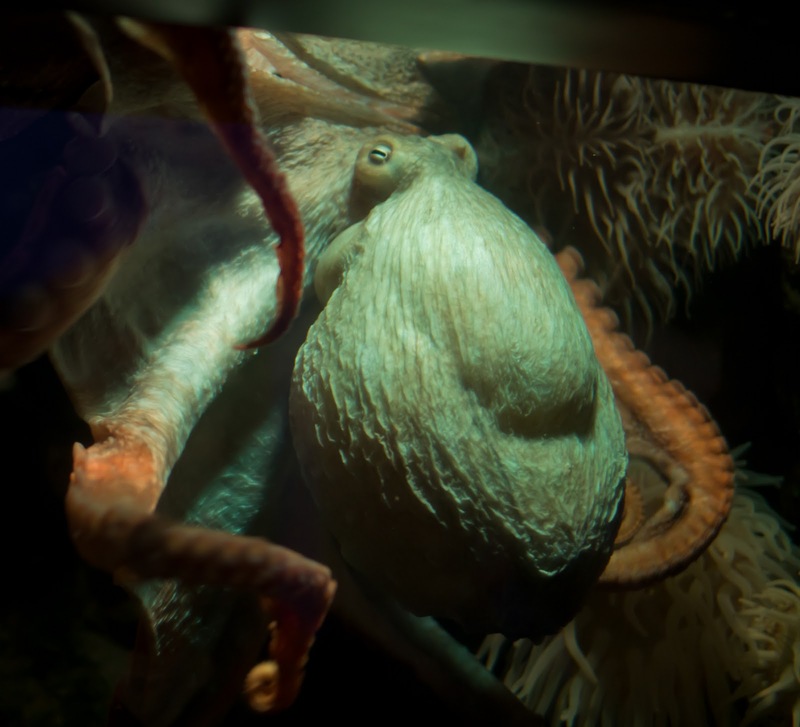 Be sure to click through and listen for some more information about our clever giant Pacific octopus. And don't forget to check out this classic blog post about an octopus in a box!